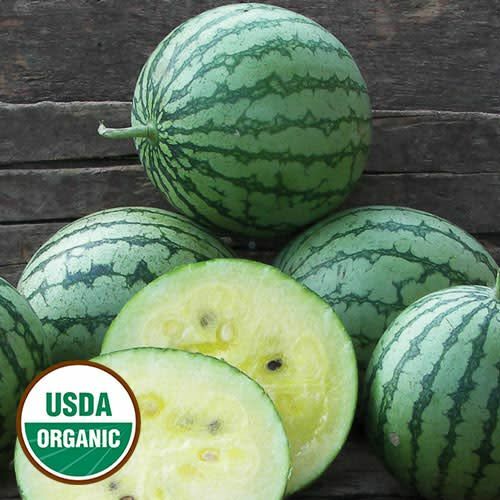 A deliciously sweet and refreshing small “icebox” watermelon. Ideal for small families—and small refrigerators. Early maturity, adapted to short-season areas. Excellent market variety. 65-80 days.